ამ SVG ფაილის PNG წინასწარი გადახედვის ზომაა: 800 × 533 პიქსელი. სხვა გაფართოება: 320 × 213 პიქსელი | 640 × 427 პიქსელი | 1,024 × 683 პიქსელი | 1,280 × 853 პიქსელი | 1,800 × 1,200 პიქსელი. წყარო 皇室儀制令 (in Japanese). Archived from the original on 1 May 2009. 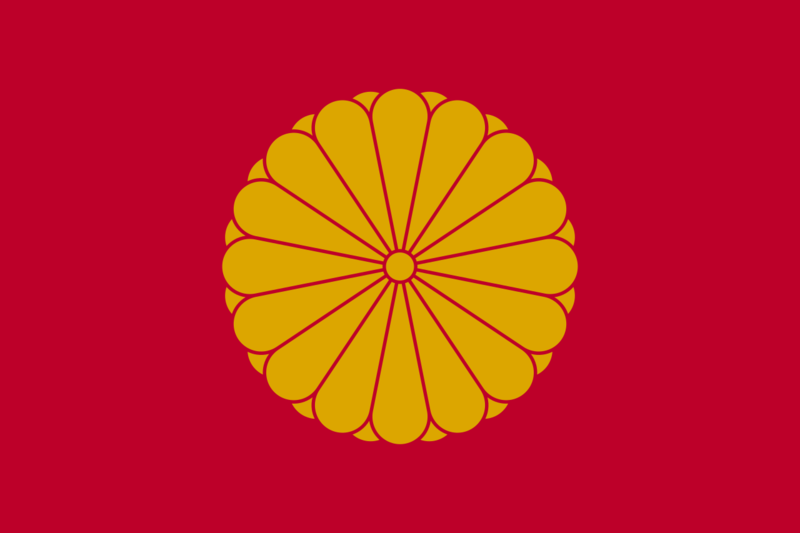 This vector image includes elements that have been taken or adapted from this: Imperial Seal of Japan.svg (by Philip Nilsson). This vector image was created with Inkscape, and then manually edited by Alkari. ეს ნამუშევარი მისი ავტორის Zscout370 მიერ გადაცემულია საზოგადოებრივ დომენში. ეს მოქმედებს მთელი მსოფლიოს მასშტაბით. Zscout370 უფლება მისცა ნებისმიერს, რათა გამოიყენონ ეს ნამუშევარი ნებისმიერი მიზნით, ყოველგვარი წინაპირობის გარეშე, თუ რაიმე პირობა კანონის მიერ არ არის მოთხოვნილი. მიმდინარე 01:01, 25 მარტი 2016 1,800×1,200 (839 ბაიტი) Fry1989 Original is incorrect.